I hope you’re all enjoying a good start to the week 🙂 I am writing to you from Cornwall, where I’ve been alternating between stints entertaining our exuberant son and getting through a mountain of back-dated paperwork. Oh, the glamour! Anyway, as it’s Monday, that means it’s time for our next Author Introduction and I am delighted to welcome thriller writer A P (Anthony) Bateman to the blog. He is an Amazon #1 bestselling author and before becoming a successful writer, he worked as a private investigator and trained and worked in close connection with ex-military, police and special forces. Having trained on US SWAT ranges with serving police officers, it gives him a unique insight into weapons and tactics to give his writing a sense of realism. He recently released his seventh book, Hells Mouth, and is presently working on his next thriller. To give us a little more insight into the man behind all those heart-stopping thrillers, he has kindly answered a short questionnaire below – enjoy! I’m married to my best friend and we have two wonderful children. I live in Cornwall and love the countryside and coast. I love food and enjoy cooking – I was a chef for ten years – so know my way around the kitchen. I’m also a petrol-head and have owned some ridiculously fast motorcycles and cars over the years. People think I’ve finally outgrown it, but I’m merely saving up again. My latest book is a crime thriller called Hell’s Mouth. The title is taken from a notorious cliff and inaccessible cove in Cornwall, as well as being a metaphor for the theme of the story. Readers will be swept along at a tremendous pace, have more than a few surprises along the way and see that my trademark action/gritty-realism/outrageous escapism from previous novels has not been lost switching from military-espionage to crime-thriller for this series. 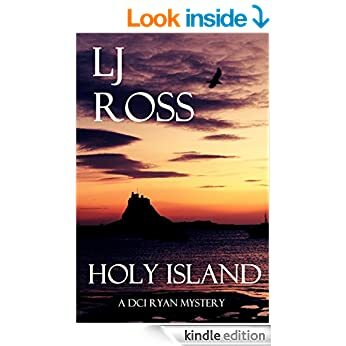 My character DCI Ross O’Bryan has a few issues, not least a darkness within that can see him cross the line between right and wrong if it means getting justice for people who are unable to get it for themselves. I don’t have a specific hero anymore. The older you get the more flaws you see in what or who you once looked up to. I admire police, fire service and NHS workers. Teachers are having a tough time lately (married to one!) and we just take them for granted to educate our children while more and more is piled on them. When you write fiction, you are living your dream and leaving reality behind, but that is quickly brought home when you talk to somebody who saved a child in an operating theatre the day before. In fiction, my hero would be pure escapism so Jack Reacher or James Bond. Lee Child captured me as a casual reader and turned it into a passion. Being a rather blunt instrument myself, I really identified with the Jack Reacher character. I met Lee Child at a signing and gave him one of my books. He was really unhurried, asked me all about it, the writing process, my inspirations and then posed for a photo with my novel. Pure class. Ian Fleming for the James Bond novels. Boy’s own escapism, unfortunately cheapened by a few of the tacky 70’s/80’s Bond films. Ernest Hemingway for teaching me that cutting prose and striking through is far more important than a thesaurus. Minimalist writing without ego or agenda. Without a doubt, it’s my two children, Summer and Lewis. I’ll be the first to admit to making many mistakes or errors in judgement along the way in life, but I seem to have done pretty good at being a dad. I can’t really think of one book, in particular. I loved all the Famous Five and Secret Seven books. And, apparently, I had The Little Red Hen read to me about ten thousand times. I enjoyed I am Pilgrim. Sadly, I don’t read as much as I’d like to now. I spend my time writing almost constantly. I do get to read on holiday and have stacked my kindle with quite a selection for two-weeks in august. Long Walk to Freedom by Nelson Mandela. A reminder that forgiveness, compassion, understanding and a willingness to change will serve a nation better than merely a desire to be in power at any expense. I’m not hugely political as I think most politicians are self-serving, disloyal and dishonest. I agree and disagree with many of the policies all three parties have in their manifestos, but truly believe all the parties wouldn’t think twice about dropping them for their own convenience. Our system is now far removed from what we need or even deserve. Thanks, Anthony! Love your book choices there and I can well understand how the landscape around us can provide the inspiration for a book’s setting. Cornwall is a much warmer county than my native Northumberland but I have to say it’s beautiful, too.